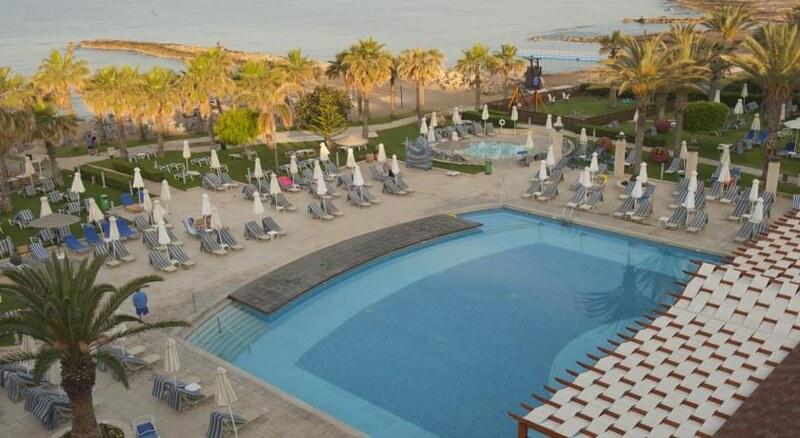 The Louis Ledra Beach Hotel is blissfully situated on the Paphos Cyprus Beach, crowned as one of the best beaches in Cyprus and just a few steps from the major attractions, shopping malls and entertainment in the area. This 4-star seafront establishment is an oasis for those who wish to relax, with an elegant indoor pool area and freshwater outdoor pool equipped with a refreshments bar. Louis Ledra Beach Hotel boasts chic interiors, with contemporary rooms equipped with all of your holiday needs – plus the choice of a little extra too, with sea views and whirlpool baths available. 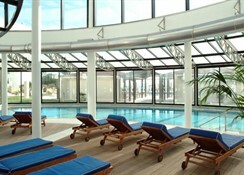 The hotel has a variety of sports and leisure activities on offer, including beach volleyball, tennis, archery, bike hire, a games room, children’s playground and more – while those after a spot of R&R can head to the health and beauty centre with tantalizing treatments, massages and a fitness centre available from 9am – 6pm. The dining scene and evening entertainment is fantastic, so guests can indulge in traditional cuisine and relax with live music once the sun sets. 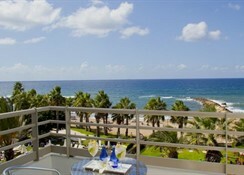 The Louis Ledra Beach in Paphos is set amid tranquil surroundings. The hotel is on the beach, 3km away from the picturesque Paphos town and takes around 20 minutes by car to reach Paphos International Airport. Paphos Beach has been awarded a Blue Flag for being one of the cleanest and safest beaches in Cyprus. The Amphitheatre Diving Site is also close to the hotel, or you can also visit the Paphos Karting centre, Paphos Archaeological Museum, Paphos Limanki (Harbour) too. There are plenty of shops, bars and restaurants located just a short distance from the hotel. The Louis Ledra Beach Hotel features 269 rooms that include Twin Room with Sea View and Balcony, Double Room with Sea View and Balcony, a variety of Family Rooms and a Honeymoon Double Room with Sea View, Balcony and Whirlpool Bath – perfect for romantic holidays in Cyprus. The rooms in this hotel come with both sea view and inland view. The Double/Twin Inland View Room, Double Twin Room Limited Sea View and Double/Twin Sea View Room can accommodate up to three people with two twin beds and one-fold-up sofa bed while the Standard Family Room Inland Room and Standard Family Room Limited Sea View can accommodate up to four people with one double bed and two sofa beds. Each room features telephone, hairdryer, satellite TV, music, mini fridge, tea/coffee making facilities, air-conditioning and terrace or balcony. Jacuzzi, bathrobes and slippers are also provided in wedding rooms. 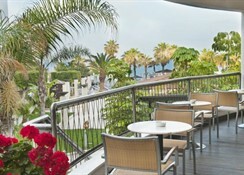 The Louis Ledra Beach Hotel features two restaurants and three bars. The Akamantis Restaurant is the hotel’s main restaurant, where the guests can indulge in both local and International cuisine. The restaurant serves breakfast, lunch and dinner; it has seven diverse exhilarating theme nights that include Greek night, Asian and Mexican. 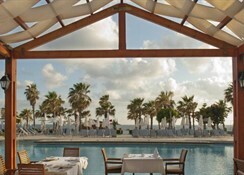 The Sundowner Pool Restaurant offers a wonderful view of the pool and the sea. Guests can have late breakfast, lunch and snacks. There is an indoor lobby bar that serves wide-ranging alcoholic and non-alcoholic beverages while the Waves Beach bar in the hotel offers refreshing drinks during the summer. The hotel also serves an all inclusive breakfast, lunch, dinner, drinks, snacks and hot beverages. This hotel not only benefits from its splendid location but it has superb on-site facilities too. There is a huge outdoor pool that overlooks the bright Mediterranean Sea and guests can also enjoy the sauna, gym, beauty salon, massage room, indoor jacuzzi and souvenir shop. There is a playground for children. In addition to this there is tennis, darts, bowls, archery, aerobics, table tennis, shuffle board and volleyball facilities available. Pets are not allowed at Louis Ledra Beach Hotel.